The Fourth Industrial Revolution, defined by disruptive and innovative technologies and trends, has the extraordinary potential to improve efficiency and our quality of life. However, this new era also threatens to deepen global inequality. An expert panel at The Trialogue Business in Society Conference 2018 discussed how companies can ensure that their technological advancements are human-centric and inclusive; what is needed to ensure that particularly the lower-skilled workforce is capacitated to cope with this disruption, and how non-profit organisations can leverage technology to enhance their developmental impact. First, panellists unpacked the conflated terms that have become part of this global conversation. “We need to redefine what the Fourth Industrial Revolution means in our context, take what is useful from the Western definition, and work it into a concept that matters to our skills and resources,” said Dr Quentin Williams of CSIR. The question of inclusion is a pertinent one, according to Williams, because the previous three industrial revolutions left out the ‘developing world’. He said that a significant portion of Africa is still using machinery from a pre-industrial age and the electricity grids across the continent are haphazard at best and non-existent at worst, and there is still a lack of basic infrastructure which exacerbates the digital divide. This, in itself, should cause the revolution to pause and consider that, without stable infrastructure and electricity grids, the proliferation of technology needed to catapult Africa into the digital age won’t be available. Samantha Posselt, Deputy Director at Pambano Technology Development Centre, trains non-profit organisations (NPO) across SADC on how to enhance their online presence and streamline their services using technology. According to Posselt, NPOs who are experts in the communities in which they work are not properly equipped, or lack the understanding of the jargon used in the tech world. She suggested an exchange between civil society and corporates to lessen the divide, and advocated for the training of NPOs to better understand things like algorithms and what types of tech resources are available to them. James Keevy, CEO of JET Education Services, gave a sobering account of the state of the education system as a barrier to equipping many young people with the skills that they will need to cope with a digital future. He advocated for education that leans more towards fostering soft skills and an understanding of values which would underpin creativity and innovation – the building blocks of the FIR. Charlene Verzmoter, Philanthropies Lead at Microsoft South Africa, shared the company’s research findings that soft, analytical and problem-solving would be the top skills needed for the future workplace. Verzmoter, concerned about young people in rural or remote communities being excluded from the FIR, suggested this deepened inequality could be circumvented by teaching coding skills in schools – not with the intention of making everyone a coder, but to develop the necessary analytical and problem-solving skills to increase employability. The unavoidable reality is that many low skill jobs and processes will become automated. 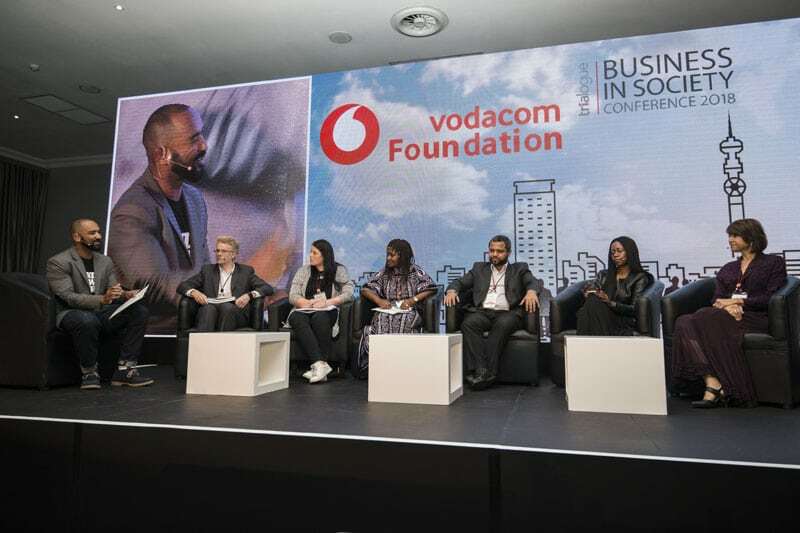 Takalani Netshitenzhe, Vodacom’s Chief Officer of Corporate Affairs cautioned that worker unions in South Africa need to play a central role in discussions about the development of jobs of the future. “Companies need look at how the digital transformation is going to affect employees and processes. A transformation change plan is needed to upskill and reskill workers, preparing them for what is to come,” added Verzmoter. A view shared by William, who said that the education system alone could not be relied on to provide competent employees in the FIR. The onus is also on business to provide access to the necessary skills training that strengthen business needs. The concern is that all these anxieties and responses to the FIR are happening in silos in different government departments, businesses and civic organisations. Partnership and collaboration seem to be the most sort after and logical solution. Williams believes that South Africa has pockets of excellence, but that none of them are talking to each other due to concern about who takes responsibility for implementation and inherent profit margins. According to Netshitenzhe, the 2007/8 economic crisis taught companies that their impact is not measured by their profit margins and that transparency and open conversations about ‘the good, the bad and the ugly’ are necessary to design services that solve human problems . “Once we lay everything bare we will begin to realise that we don’t exist in a vacuum and we live in a society with high levels of inequality,” she said.